I found Smarty's first homework assignment of the middle school to be a clever way for the teacher to peek into her students' minds and get to know them better early in the year. This assignment came from the teacher who will teach a fascinating subject this year to 6th graders - a combined leadership and drama class. In her first class, she explained a bit about why drama and leadership go together - both require public speaking skills and ability to reach out and engage others. 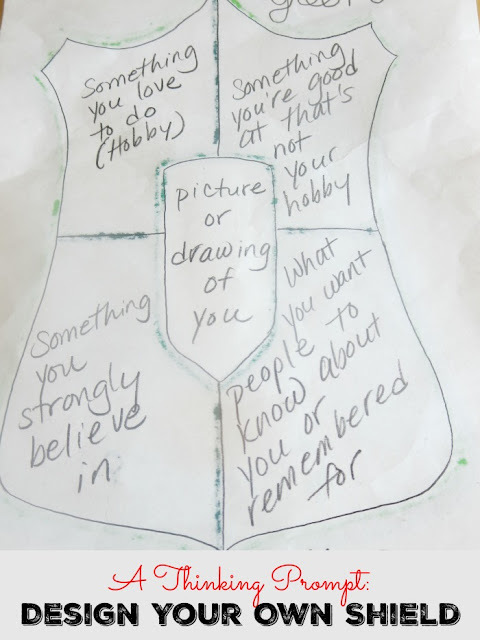 I am sure that I will be sharing more about the class later on the blog, but she started the year by giving students an assignment to design their own shield. She gave them specific instructions as to what should be on their shield. 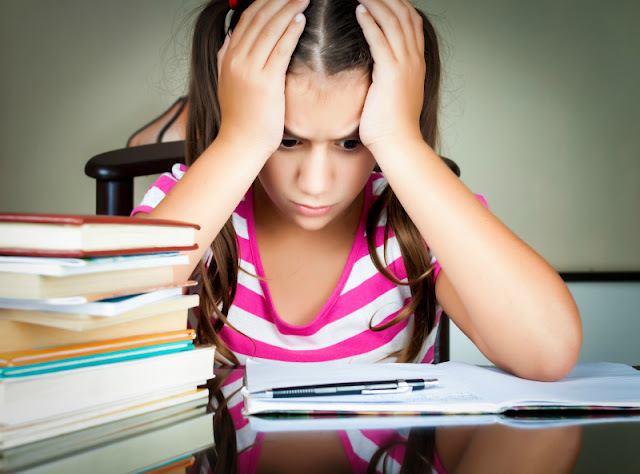 I thought the assignment was somewhat similar to Design Your Flag activity that Smarty's class did in the third grade, but required higher order thinking more expected of middle school age students. Q: Something you love to do (hobby). Q: Something that you are good at but not your hobby. Q: Something you strongly believe in. A: Spending money to get to Mars. This response really reflects Smarty's fascination with space and with the Apollo program. She read a lot of facts about how Apollo investment paid off in real-world applications. 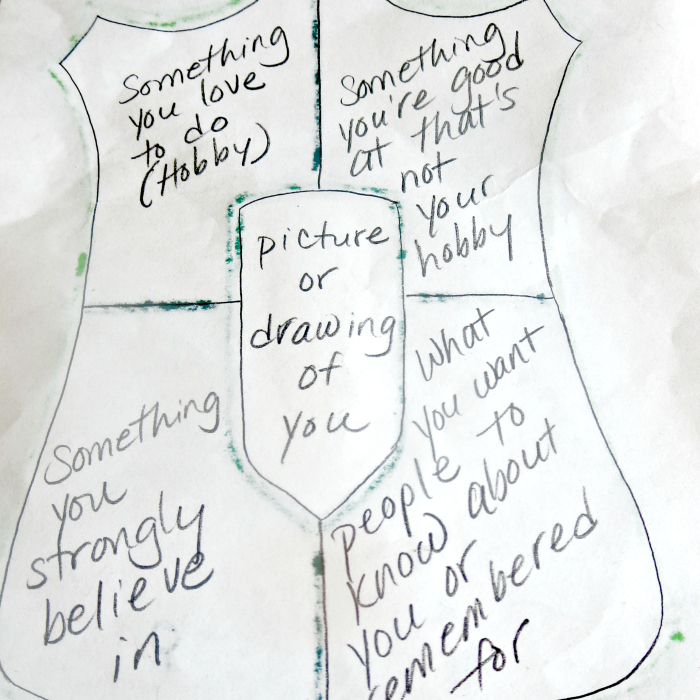 I can't wait to see a shield wall in the classroom and read what other middle schoolers put on theirs. I wonder how many would have some sort of religious references in this section, but I predict that it will be less than 50% in our area. Q: How would you want to be remembered by? A: Smarty was an enthusiastic learner. The picture is supposed to represent a brain under a microscope and a volcano experiment. I found this question to be worth an extra discussion at home and still thinking of my own response to it. 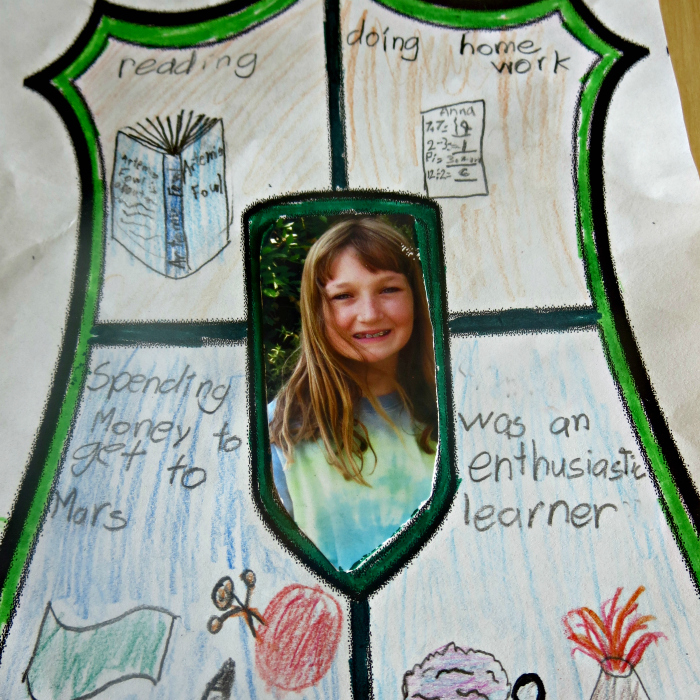 I am also interested to get insights into minds of Smarty's classmates - we will probably see these shields during a back-to-school night in two weeks. How would your own shield look like? What a great get-to-know-you activity! This would make a great family activity, also. I've always found the answers to this particular type of activity interesting. I might need to ask my kids to see what they would answer right now. I also love that Smarty's showed her work and interests, so it's not super cutesy and all that, but is complete, neat, and well-done.